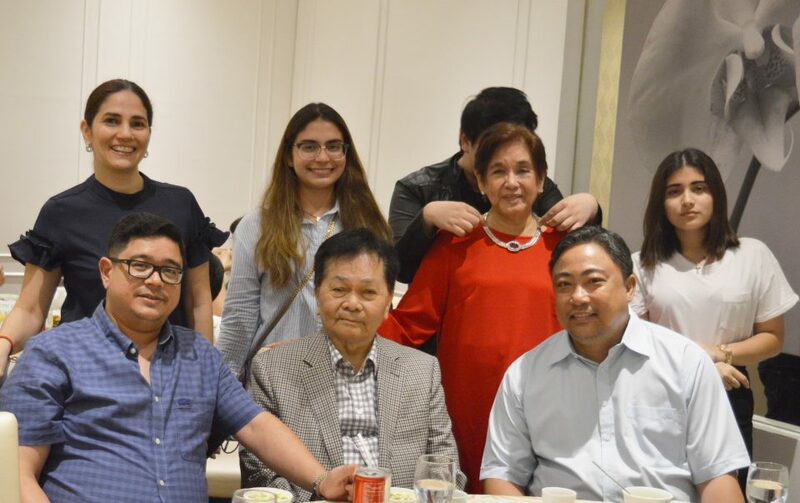 Realizing her parents’ dream to establish a school of Medicine that makes MHAM today, the youngest daughter of the founder was honored by the MHAM community in a diamond dinner held at the Tsay Cheng Chinese Restaurant, Grand Convention Center of Cebu last March 17, 2019 from 6:00 to 9:00 in the evening. 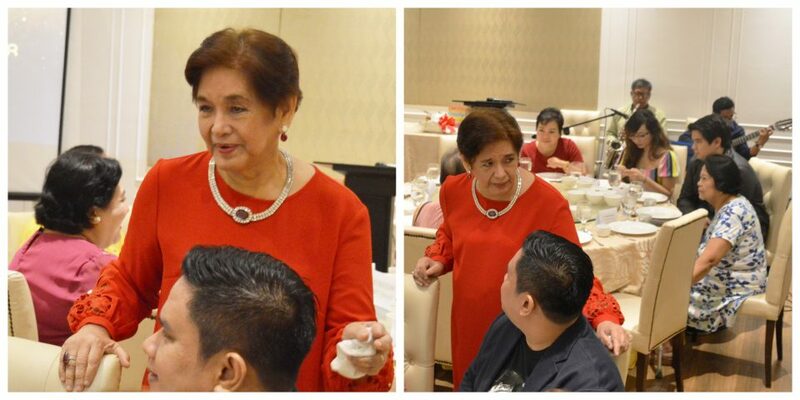 Known as a visionary who continued the founder’s legacy with her life-fulfilling journey as an educator, Mrs. Elma Aznar Sierra, whose natal day falls every 18th of March, was surrounded by her family members, administration, department chairmen, department heads and some non-teaching employees in a pre-celebration and annual dinner with the very people who truly believed and supported her dreams. 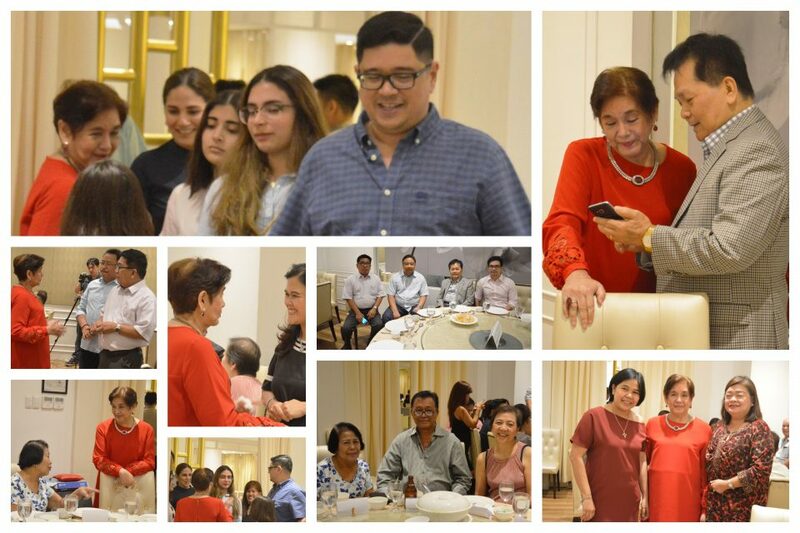 Celebrating her seventy years of grace and beyond the bounds, the MHAM successor’s birthday bash was also graced by her youngest son, Mr. Victor A. Sierra, who is also the current vice president for administration; daughter-in-law, Mrs. Izarzuri O. Sierra; and gracious grandchildren. 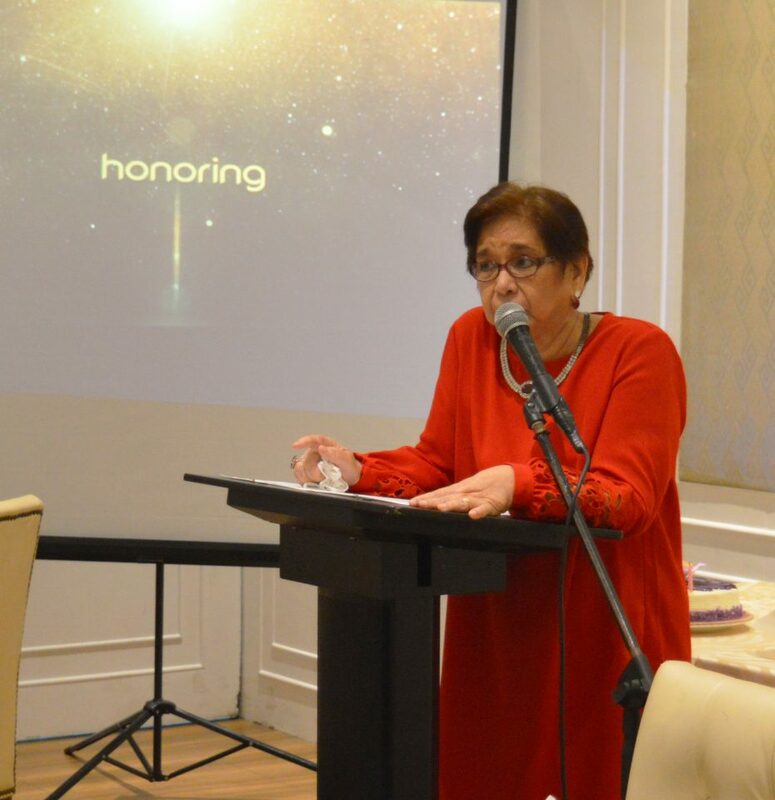 Marking her diamond year with the grandest feat that the institution has achieved in the March 2019 Physician Licensure Examination, Mrs. Sierra considered it as the most precious, invaluable and timely gift as one hundred twenty-two successful examinees and two topnotchers made MHAM ranked on third among top performing schools for physicians this year. 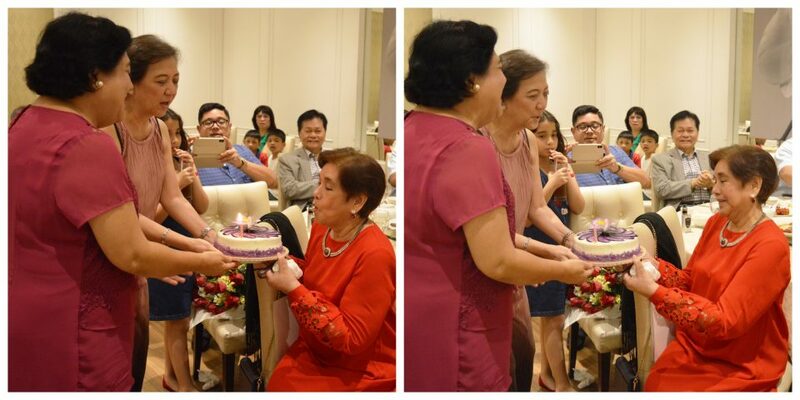 Having been blessed in life with a very supportive and loving husband, three children and six grandchildren to behold, the birthday celebrant is also blessed to have loyal people who stand by her for years especially in supporting her dreams and directions for MHAM. A new stage of strength and vigor in her significant years with a big heart to serve through the institution that her parents have established, the 75-year old president and chairman of the board of trustees expressed her undying gratitude to the ‘Giver of Gifts’ and commended everyone who stayed with her along the years with creditable services to what MHAM has become. “I’m jotting down some points to take up with you for my birthday. First of all let me express my congratulations to each one of you for being the top 3 performing school for physicians in the Philippines and also for the topnotchers in the third and fifth spots. Thank you for what you are doing right now. We have reached this level so far and we have to maintain it, and that is now our biggest challenge to keep up our standard. We spent so much time, effort, and resources in achieving our goals; our MHAM building and your new home in Banawa is nearly finished. Hopefully by May this year we can start transferring and offering our new programs by August. With this development, we can no longer afford to be disintegrated or disgruntled by squabbles and intrigues. We have to be one in our solution to realize our aspirations. Let us be united as one MHAM family and this is my personal request to you and my prayer to the Lord Almighty. MHAM legacy is given to us by my father, now it is up to us to carry that legacy to the humanity and this is what we have to carry on. You know that I cannot do this alone, and I need your unceasing support by continuing doing your respective roles and responsibilities and I am hoping that you are with me as we are now in this project. Let’s move forward and thank you for coming over to celebrate my birthday and remember; we are one, we are MHAM”, Mrs. Sierra said. 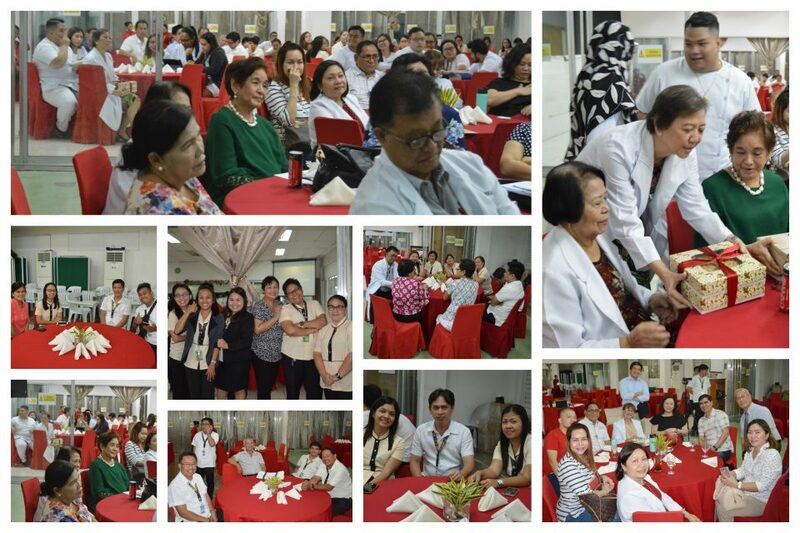 According to the MHAM Quality Assurance director, Dr. Chamberlain I. Agtuca Jr., the gathering was one of the cherished moments among the very people who have been part of the institution’s journey and who shared the same dream and passion with the celebrant. 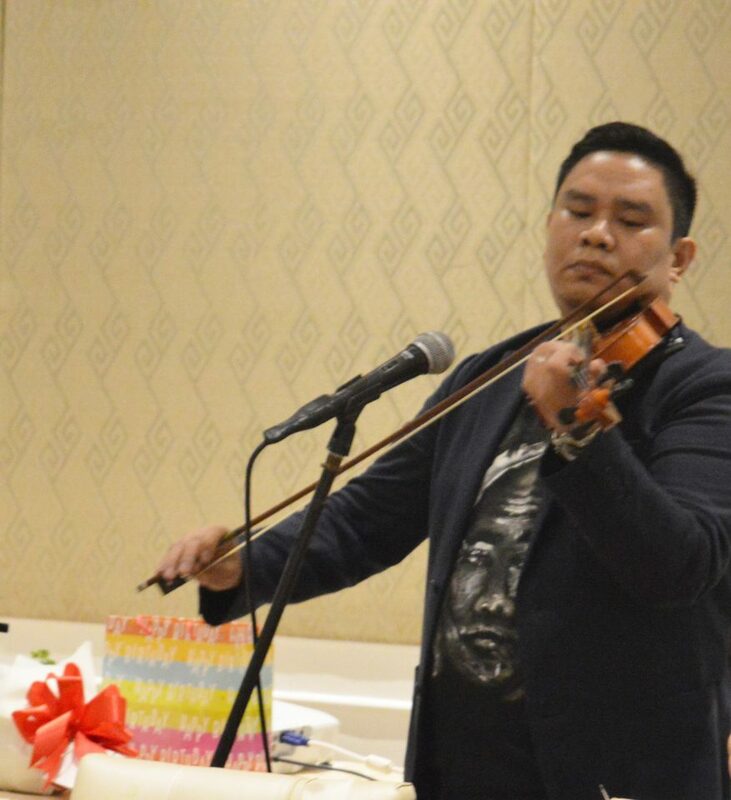 Born with special skills with the right training and upbringing, Dr. Agtuca surprised the guests with his wooden string instrument and delighted the audience in his violin presentation as his ultimate way to honor the celebrant. 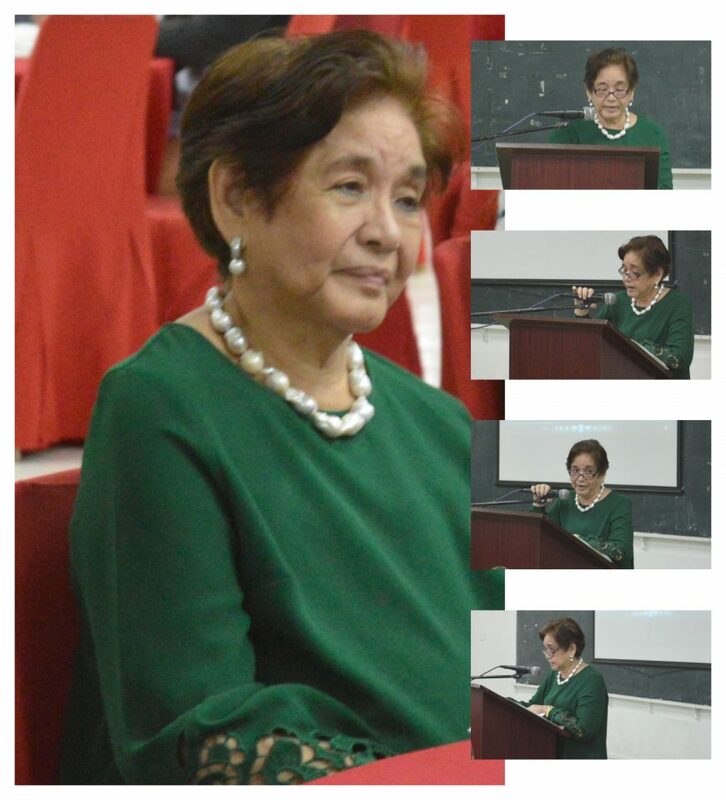 “It was a very meaningful evening which was full of people who mattered most to Ma’am Elma. It was a small crowd yet the love I felt inside that room was big. It was a gathering of people who shared her dream and passion. Somehow I felt like I was around family members because I believe everyone who was there, was there to show their love and support to the MHAM community president. Everyone was looking to the very same direction Madam Sierra is going and looking on to”, Dr. Agtuca said. Having been blessed with natural and learned talent in music, the Quality Assurance director started playing violin when he was still a third grader. In addition, he is also serving the ministry being a choir member even up to this day. A dedicated faculty of the MHAM Clinical and General Pathology department for nine years now, Dr. Agtuca was also recently lauded as he successfully passed the specialty examination for Clinical Pathology of the Philippine Society of Pathologists (PSP) last month. “With the pace that MHAM is going on nowadays it is important to realize that good education comes through a collective effort of all the members of the faculty as well as the non-teaching staff. The members of the board as well as the heads and chairs of the department should work hand in hand to realize the MHAM dream which is to produce good quality physicians that have the heart for medical service. Coming up with a quality assurance plan to realize this dream is everybody’s job. The main work of the office of quality assurance is to simply see to it that everybody is committed towards achieving that goal”, he added. Aside from his service as a national speaker and trainor for DOH HIV Core Team and HIV Primary Care Training and in the Student Advocates for Public Health and Environment (SAPHE) as adviser, he is also affiliated with the Philippine Society of Microbiologists and Infectious Diseases (PSMID) and Philippine Society of Medical Specialists in Government Service (PSMS). “We are uniquely MHAM because of the experiences that honed us in the past. The trials that we’ve been through have got us to where we are now. We are MHAM because we do not simply back down from challenges. We stand our ground and push forward towards the realization of our hopes and dreams. We will always be MHAM because we will stay united despite our differences in principles and beliefs. United to that greater calling of making good doctors that are God-fearing, nationalistic, and dedicated to their craft”, cited the MHAM alumnus. 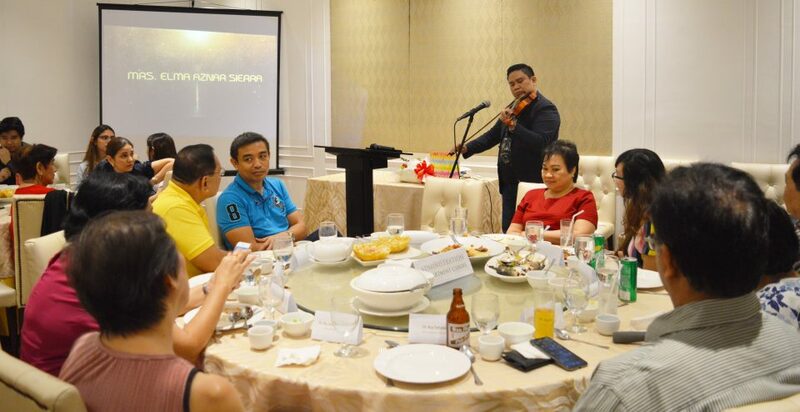 To complete, Mrs. Sierra was also serenaded with classic songs by Ms. Hana Niera of the MHAM College Inc. together with Mr. Danny Igos and Mr. Lemuel Enanoria of San Pedro Calungsod Choir and Cebu Guitar Quartet. 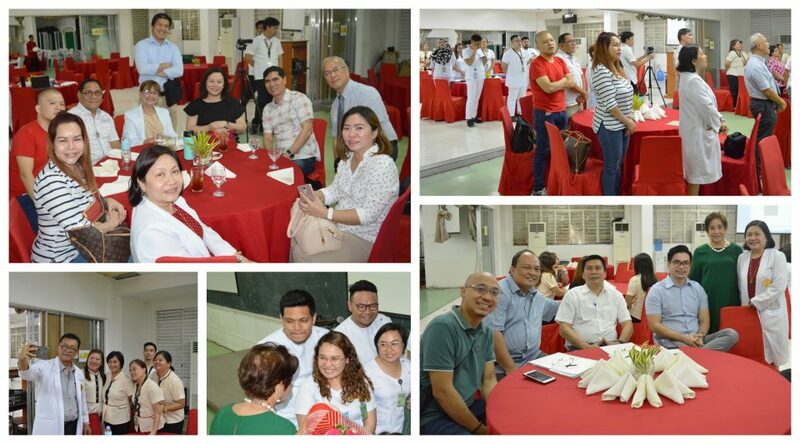 HR director, Mr. Pedro Pañares, facilitated the 2-hour celebration of special people who stood with the youngest daughter of the founder during the times of uncertainties and chaos that MHAM had surpassed over troubled waters. Coming together as one community, Mrs. Sierra was also surrounded by the MHAM faculty, non-teaching employees and student-leaders on her natal day at the MHAM AVRs 4 and 5 with a hearty lunch. Started at 11:00 in the morning to 1:30 in the afternoon, the simple yet coloful celebration was facilitated by Snem Austin Y. Bellosillo of Resilier together with the rest of the out-going officers of the MHAM Student Council. 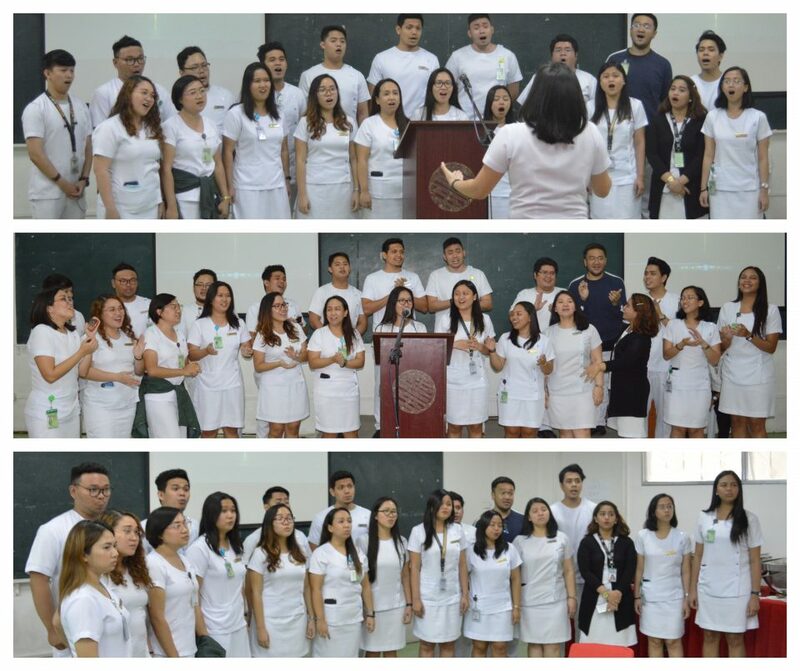 Brimming with honor to bring out their voices to dedicate some renditions for the school president, the MHAM singing chorale, the MHArMony, serenaded the celebrant who once invited them to perform before an exclusive group in Dumaguete City last year. The MHAM way: We are one. We Are MHAM. College dean, Dr. Ma. 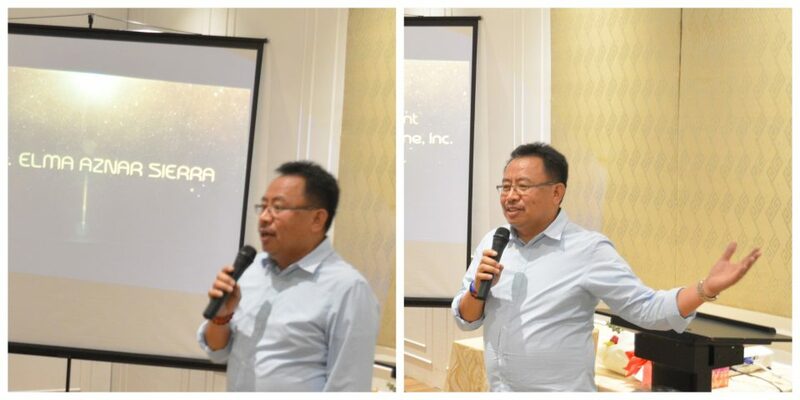 Socorro Manaloto and out-going SC president, Bryan Carlo Jay Paña also gave their inspiring messages to the celebrant followed with various greetings from students and employees through a video presentation. 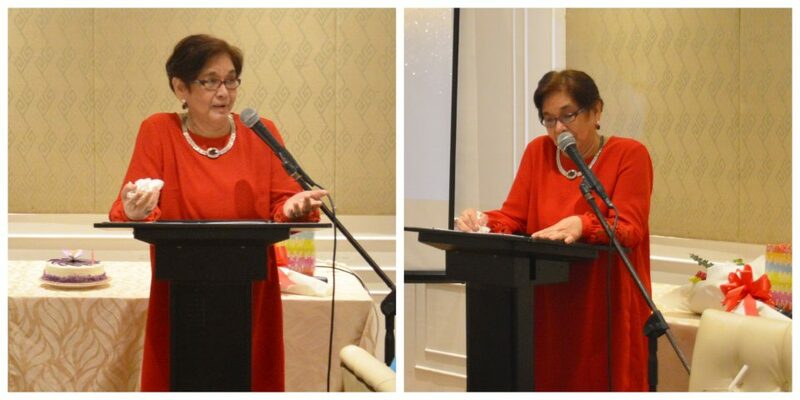 Filled with profound gratitude to all who attended her diamond celebration, the MHAM successor pointed out in her message and reiterated to the Matias aspiring doctors to study and pray harder in order to attain their dreams. “My deep appreciation to all of you for coming over to celebrate my birthday and it is truly nice and a pleasure to celebrate your birthday with your true family. For the faculty and staff, I would like to reiterate that I have appealed to the administrative officials to remain steadfast and united. Let’s focus on our own responsibility for the good of our school and for the students. To my dear students, since you are already on the top 3, work harder to maintain the position and as I always emphasized to you whenever we talk, study, study, study harder because Medicine is not to be taken for granted but seriously. Your success depends largely upon your preparation and there’s no substitute for preparation. MHAM is always behind your endeavors, and remember, your success and your achievement is our success and achievement too. Study, study, study, and pray”, said the celebrant in her heartwarming message. A service-oriented educational institution in Cebu City that cradled the medical journey of numerous physicians in the country and across the seas, today, MHAM takes pride of its competent graduates who are now experts in various fields and specializations bringing with them the MHAM spirit and abiding name as Matias doctors.